The priorities relating to mobile workforce management and customer service vary drastically from one industry to another. Differences in semantics, working practices, business processes, and terminology as well as variables specific to the business—such as culture and philosophy—require firms to deploy fine-tuned solutions that cater to their specific needs. This business paper discusses the benefits of deploying an industry-specific, mobile workforce management solution along with a comparison to generic solutions. 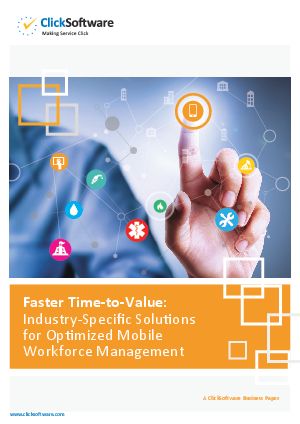 The paper also presents the attributes that indicate whether a software partner qualifies to provide industry-specific solutions as well as a rundown of all the elements to look for when evaluating a mobile workforce management solution.